TOTAL GEM! 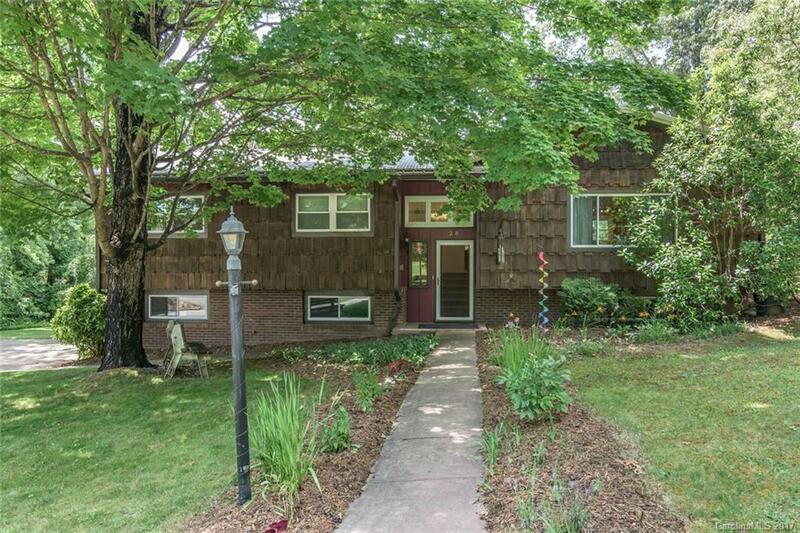 UPDATED 3BR, 2 BA split foyer home with BRAND NEW CARPET on the main level LR, BONUS newer SPACIOUS SUNROOM (w/vaulted ceiling) & a KITCHEN TO DIE for (Pantry/CUSTOM TILE WORK/B-fast Bar/Double Oven)! FIREPLACE IN DEN, Central AC, Metal Roof & Plumbed for a 1/2 BATH in basement. ALL THIS...on a CORNER LEVEL LOT, in an ESTABLISHED sought after NEIGHBORHOOD w/ a wide driveway, double-car garage & high-end playground set. PRIME LOCATION in Weaverville.....blocks from Well Bred Bakery!